I’m going to talk about something I’ve always learnt not to talk about. Money, or a lack there of it. It’s like, everyone is supposed to just pretend that they have a whole heap of money all the time and if they don’t it’s as if they have failed. Well, we’re not wealthy and we haven’t failed. We’re just young, and we’ve lived a whole lot of life in our 28 years and that’s cost us a whole lot of money. Oh, and all that damned smashed avocado #amirite? I’ve been researching frugalism, and the term ‘the working poor’ has been tossed around a lot. It basically means individuals living paycheque to paycheque with little to no savings or disposable income. I guess that’s kinda us. Although, we wouldn’t really know as we are suckers for a micro purchase or 12! But we’re also in a really fortunate (smart) position. We are debt free. The husby and I have never ever not ever had a credit card. We have car re-payments but they are less than the cars are worth. We are so fortunate that we are not under the banks thumb. Like most millennials, we are working towards being under the banks thumb and having a mortgage. But today, we are not in any debt, which is really flipping cool. So for the past six weeks now we have been implementing some changes to fully embrace frugalism. It’s not been an easy change, and we’re both still learning. For example husby kept telling me to stop cheaping out when grocery shopping as we run out of food and it costs us more. And dammit, he was right. I got the groceries down to $150 a week to $100 – and then we ran out of food, got take away ($30) that night and went grocery shopping ($50) the next. So back to the $150 shop it is! Another example is not planning lunch for work. Husby seems to think he can just eat a big breaky and dinner. I can do that, he on the other hand, can not ($12 per days). Oh and then there’s things like a day out with the kids. Under packing lunch ($30), forgetting a bottle of water ($4) or even trying a new outing without investigating the car parking situation ($16). So yeah, we are definitely in the learning phase. And I have absolutely no intention of spending my children’s childhood inside because we wanted to buy a house one day. I want us to have the best possible lives, and to spend the least possible amount. What are you best money saving, experience giving tips? And maybe your biggest challenges? 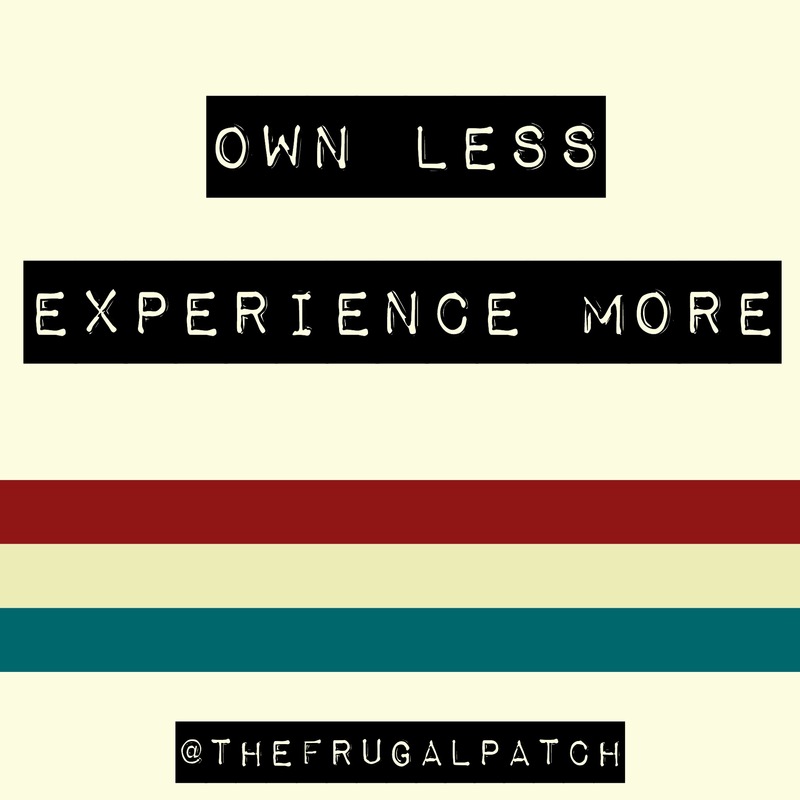 This entry was posted in The Frugal Patch and tagged budget, budgeting, cheapliving, frugal, frugalaussiemum, frugalliving, frugalmom, minimalism, minimallife, onabudget, savingmoney.